Have you locked yourself out of your home, vehicle, or office building, or do you need to review the security needs of your home or business with an experienced professional? With your local locksmith Lorton, VA, Pro-Keys Locksmith Service, we provide a full range of security solutions. We are a licensed locksmith company that is available around the clock, seven days a week to provide fast, friendly, mobile, and ethical service. If you’ve locked yourself out of your vehicle, it can be tempting to attempt to pop the lock yourself. Unfortunately, these attempts are generally unsuccessful and can result in damage to your car’s door, window, or lock mechanism. Having your vehicle towed to a dealership or mechanic is inconvenient and expensive. At Pro-Keys Locksmith Service, we can get you back into your car in record time, saving you time and money while sparing your car from damage. We are a mobile service that operates 24 hours a day, seven days a week, so we can meet you right where you are, day or night. If you own a business or office building in the Lorton region, contact the locksmith Lorton VA businesses trust with all of their locksmith needs. Proper security is crucial to your business’s overall success. 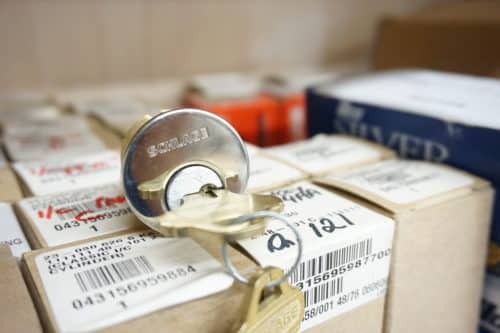 As fellow local business owners, we at Pro-Keys Locksmith Services have first-hand knowledge and understanding of what it takes to protect businesses from theft.